Liquid water cleanser to improve and protect water sources for birds. Protects drinking water from harmful water-borne organisms. Stops the growth of green slime in drinking water containers. Reduces the work involved with cleaning water containers. Does not negatively affect normal gut flora. Aviclens is safe to use in drinking water of all pets, every day. Aviclens is safe to use with any in-water supplement. Not suitable for mixing with parasite controls, antibiotics or probiotics. Add 1mL of Aviclens to 2L of fresh water. US conversion: Add 1cc to ½ US gal of fresh water. Use as an animal’s normal drinking water or as a seed-soaking solution. Change drinking water after 1-2 days in warm weather and 3-4 days in cooler temperatures. Soak seeds for up to 24 hours. 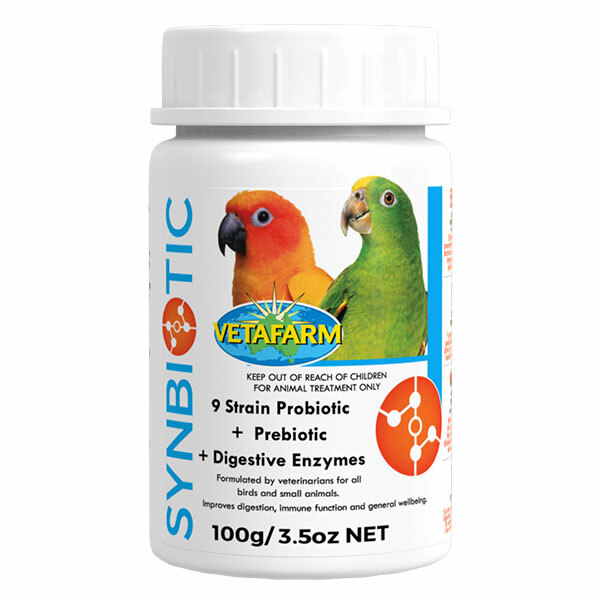 9 Strain Probiotic blend (550 million CFU/g) with natural Prebiotic (Chicory Root Extract) and 7 Enzymes. 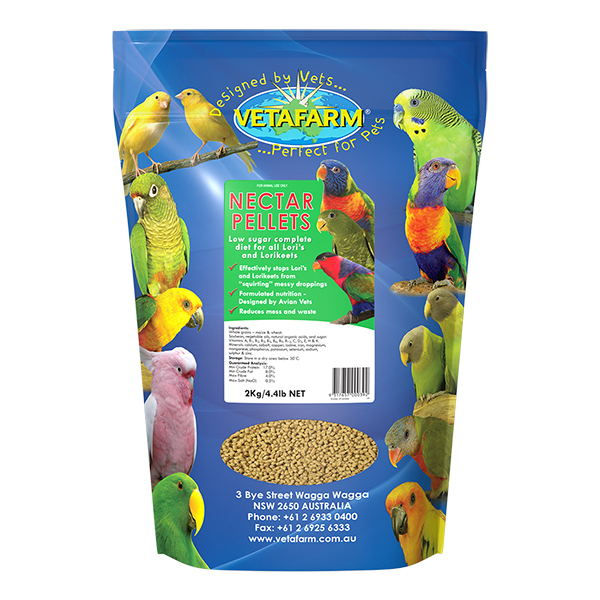 Completely balanced extruded pellet diet specifically designed to meet the particular dietary needs of loris and lorikeets. 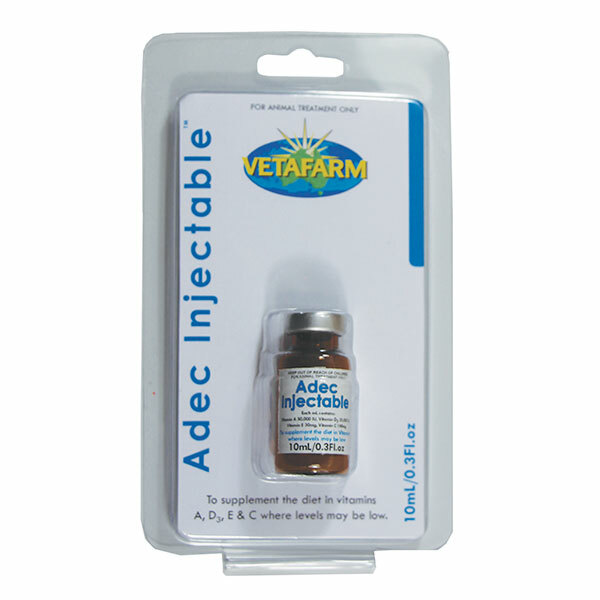 Injectable vitamins to overcome severe nutritional deficiencies.